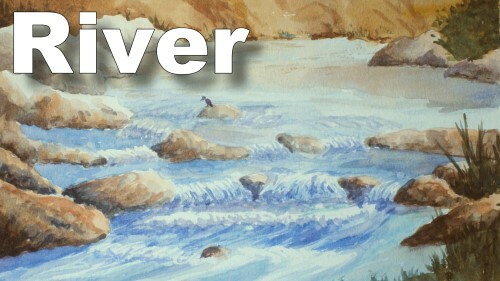 Part 1 of 4 in painting waterfalls. In order to understand the flow of water we need start, as with anything else, right from the beginning. 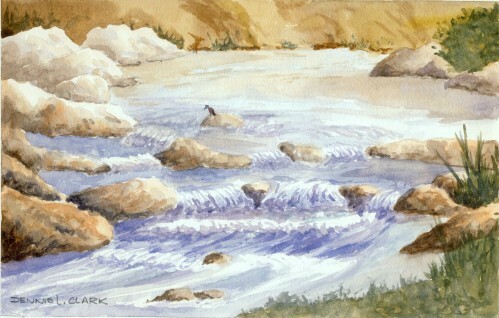 In this class you will get the feel of water flowing over a series of small rocks. In each lesson we will increase the height. The kingfisher was added to give a sense of scale.